Looking for professional rug cleaning can be of great help when your rug needs some cleaning. We all treasure the rugs we have in our homes. Our company offers among the best rug cleaning in London. Most of these rugs are very costly and some were passed on to us by our older family members. When you look at the rug that you inherited from your grandmother, you realise that it is only fair that you take good care of it and probably pass it to the next generation in your blood line. This thus calls for the right cleaning method when you are removing dirt from the rug. A number of sites exist on the internet with information on how best to care for your rug. You need to be very careful when reading such articles. You do not want to pick misguided information and use it to clean your treasured rug only to ruin its colour. Just like carpets, rugs are also subject to more dust and dirt compared to any other home fixture. Because these items are situated on the floor, dirt from shoes is often present on it. Unfortunately, regular vacuuming is not enough. You need to do thorough cleaning regularly to keep your rugs healthy in order to make them last for a good number of years. This is where we come in. When hiring a cleaning company, you should choose one that has been in the business for quite some time already. It’s advisable to acquire services from a company that has accumulated a lot of experience and continue to showcase what they can do in the form of providing impeccable service to all their clients. And most importantly, you want to hire a company that embraces their job, their profession and values the money and time of their customers. Fast Cleaners Ltd is a family-run business that started back in 2001. Today, after more than a decade of operation, the cleaning company continues to serve more and more clients – both companies and homeowners – within London. We are now considered as one of the most sought out cleaning companies out there and we have gained ourselves a long list of satisfied customers who showered us with positive feedback. We provide quality rug cleaning. This service is available for both homes and offices. We work with trained and qualified cleaners who only specialise in rug cleaning. We have ensured that they are certified so that they are able to serve you well. In addition, we always put our employees through training just to make sure they understand the different methods of treating rugs available and the best equipment to use in each case. We don’t just clean the rugs, we also make sure that they are protected against future stains. We use eco-friendly cleaning products and advanced equipment. We also ensure that all these cleaning tools passed the necessary safety tests. Our prices are quite affordable. We try to maintain a competitive rate on all our services hence; you don’t have to worry about spending too much. We charge a straightforward rate of by square meter. That way you end up with a better sum that you will surely agree of. Comprehensive and thorough – rug cleaners London ensure that your rugs are thoroughly sanitised and not just cleaned on the surface. 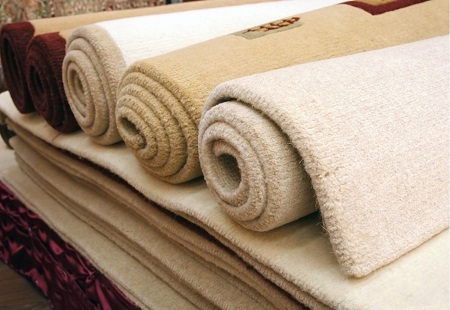 Thanks to the high-class equipment, our experts will take care of spoils ingrained deep within your rugs. The machine also deals with germs and viruses that may reside in the rug. Fabric protection – as mentioned, we don’t simply clean but we also protect your treasured items. We know how much hassle it is to call carpet cleaners every now and then hence, as part of our company’s mission to exceed what our clients expect, the cleaning team perform basic rug protection method to lengthen the time span of the cleanliness of your rug. Normally, the cleaning method applied to a rug will be determined by how soiled it is and the type of fabric material. While some rugs are made from cotton, other are from silk and thus you cannot treat silk the way you would treat cotton. Dry cleaning system – this cleaning technique is ideal for delicate fabrics and rug materials. Aside from rugs, this is also used to clean carpets. Dry cleaning system involves no-moisture foam. Wet cleaning system – this method is a moisture-based cleaning technique that calls for high level of control it is safe for any type of rug and/or carpet material. Are you interested? Feel free to call us at 020 3907 7263 for more information about rug cleaning London and get a free quote. Our company has customer service representatives always ready to serve you. They are knowledgeable enough to answer all your queries and the company is also open to over the phone bookings. Contact us today and book your rug cleaning in London.